The Khazars were once considered (“Jewish Encylopedia”) to have spoken a Finish language as did many Steppe peoples of different origins. There used to exist an opinion that most of the Fins did not enter Finland (from Scythia) until the 700s and 800s CE. Nowadays this notion appears to have been dismissed though there probably is something to it. 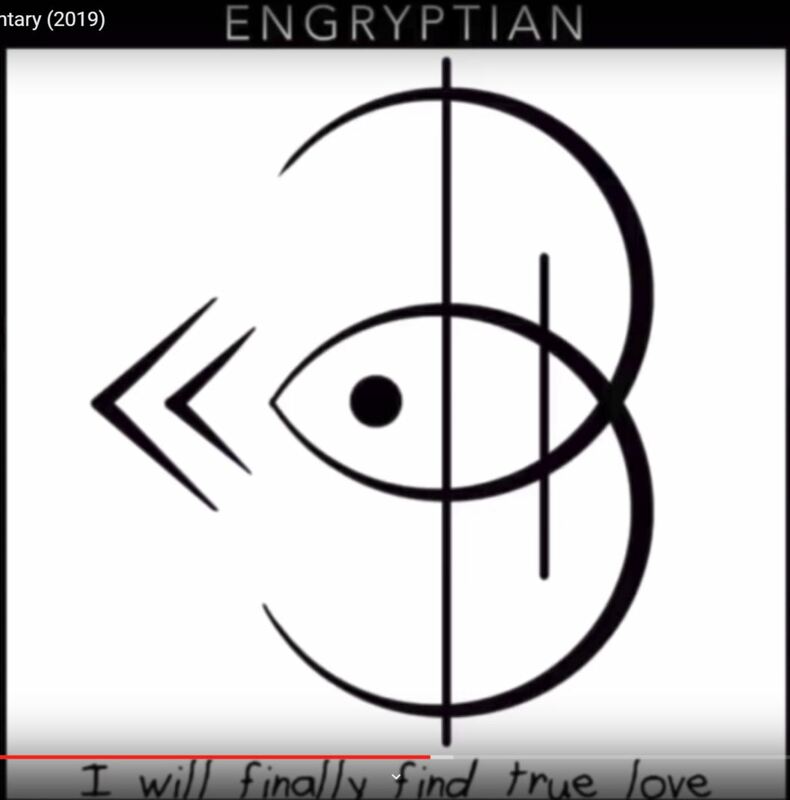 There may be a connection between the Khazars and the Finish people. The Fins of Finland in the 17th and 18th centuries believed themselves to be descended from the Lost Ten Tribes of Israel. The Fins call themselves Suomi (“Shuomi”) which is said to mean “People of the Marshes” or something similar. Nevertheless the name is not dissimilar to that of Simeon (Shimeon) in Hebrew, and the Khazars were traditionally decended from Menasseh and Simeon. Existings name are frequently re-interpreted and adapted to fit changing circumstances. The Fins are probably descended from the lyrcae (or Turcae) form neighbours of the Nephtalite Huns. The lyrcae (White Gyrians) were identified as Khazars in the Russian Chronicle (1100s CE) In our work, THE TRIBES the finns are traced to the Tribes of Gad, Issachar and Simeon. Khazars are the modern day Ashkenazi. Khazaria is modern day GEORGIA. 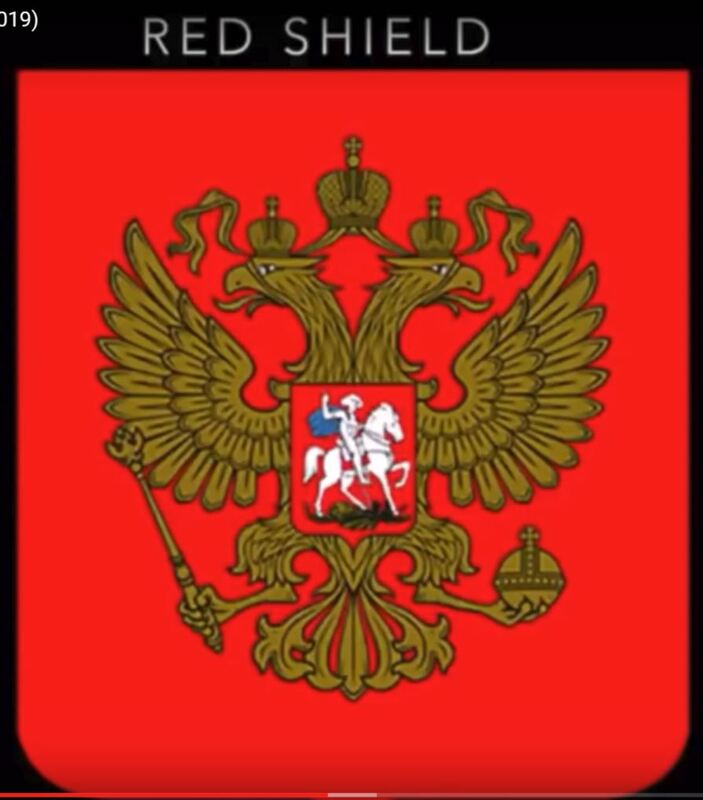 Red Shield of the Rothchilds. Note Saint George trampling or defeating the dragon (Griffin). Griffin is the symbol for Tartaria. What is the narration before the 1790s and 1830s? Paris syndrome is an experience that affects some tourists who go to Paris and realize that the city did not live up to their expectations. It causes hallucinations, delusions of persecution and anxiety. Starforts and churches… see examples of buildings destroyed and where. Mormon Island in the 1830s that’s burried under a lake in California because of a dam. Stonework almost Peruvian and Gothic Visigothic. Submerged ghost city around South America … example in Venezuela … built a dam to hide a church. Rises again. When it resurfaced, it survived. They tried to blow it up. Tales coming from the 18th and 19th century are usually far fetched and exagerated. Holodomor – Ukraine is the most fertile land in the world, the bread basket of Europe. But when the Ukranians tried to assert independence from the USSR, The Bolsheviks, led by Stalin exterminated them through hunger. In 1932-33, an artificial famine was brutally enforced and 10 million innocents and their animals starved to death. Even as word got out, America and the world did nothing to stop it. This unspeakable political crime against humanity. Find The Lost Boy generation of the 1817. Norumbega, a.k.a city of Bega, Nurumberg, Nurumbega, Nurembega, Norobega, Oranbega legend. There are quite a few fascinating occurrences related to this so-called “legendary settlement” located in the northeastern part of North America. Reading the official narrative of Norumbega, it appears that they do not outright dismiss its existence, but rather reduce its “correct” description to nothing but a small settlement. Obviously, the houses with pillars of gold, and inhabitants who carried quarts of pearls on their heads are being officially presented as an example of a 500 year old vivid imagination. 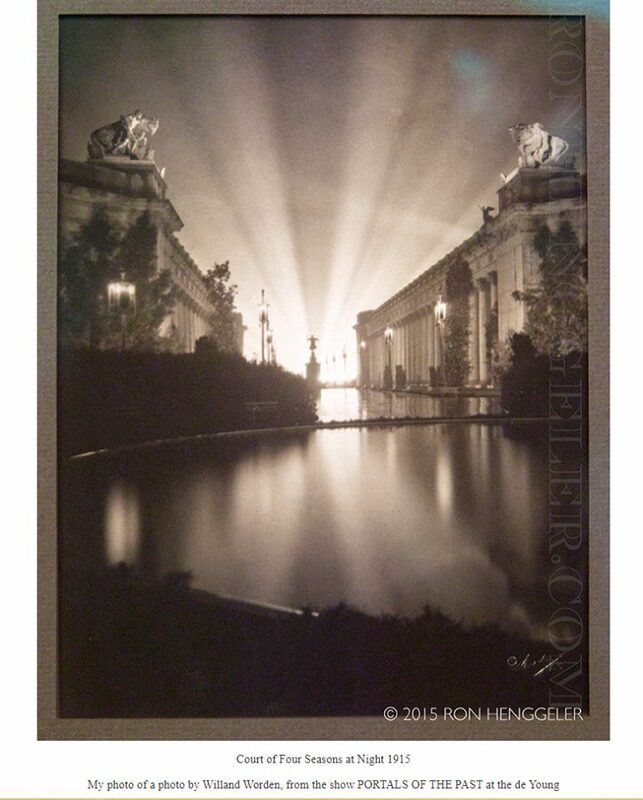 To be fair, we do have very very old texts questioning the existence of this Norumbega City. The river is more than 40 leagues wide at its entrance and retains its width some thirty or forty leagues. It is full of Islands, which stretch some ten or twelve leagues into the sea. … Fifteen leagues within this river there is a town called Norombega, with clever inhabitants, who trade in furs of all sorts; the town folk are dressed in furs, wearing sable. … The people use many words which sound like Latin. They worship the sun. They are tall and handsome in form. The land of Norombega lies high and is well situated. Official narrative says…. 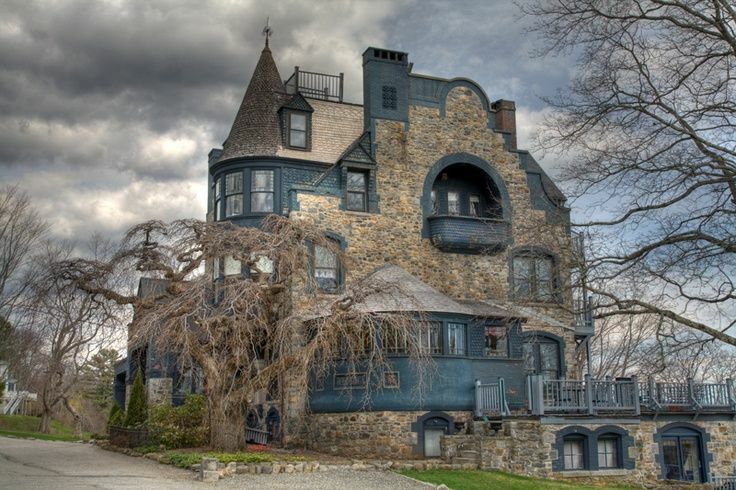 Norumbega, Camden, Maine, completed in 1886 for Joseph Barker Stearns. The architecture of the mansion combines Châteauesque, Flemish, and Queen Anne motifs. I’ll change the title later after I listen to this video. So far it’s erratic as he attempts to explain. He’s all over the place. I can’t follow and it’s not because he’s talking too fast. It’s because he’s getting too excited as he explains his theories and his internet keeps going down as he points to sites. 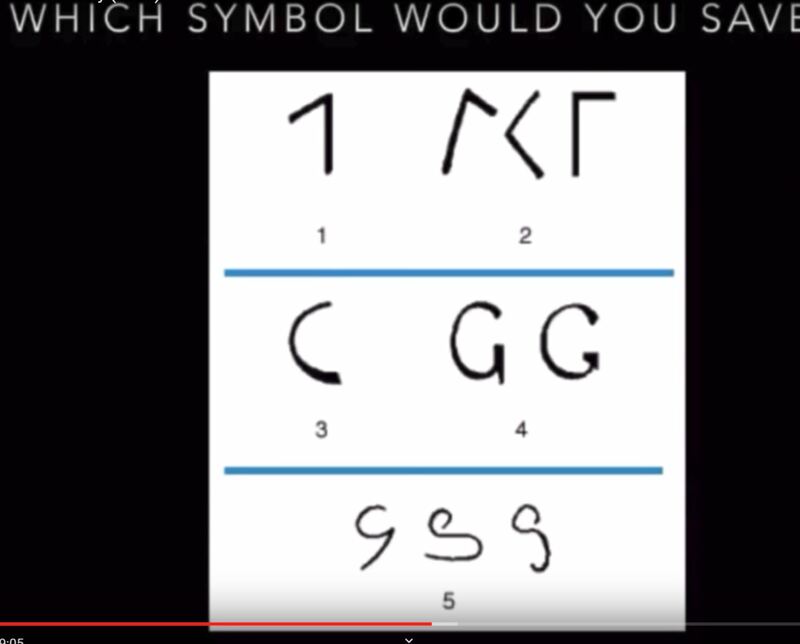 So… I’ll post the video and make reference notes. Earthquake in Baja… dust in the mountain range… 7.2 earthquake. Mountain falling. Flash Flood example video. When there’s an earthquake, water rises up. 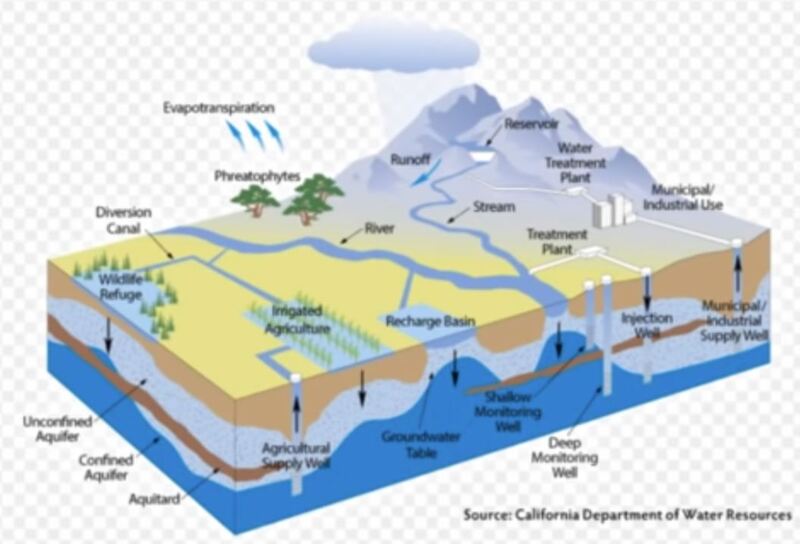 The point is… he’s saying that the ground floats over water underground. Reference: Ockham’s Razor – this is where I get lost. I don’t know why this is mentioned. 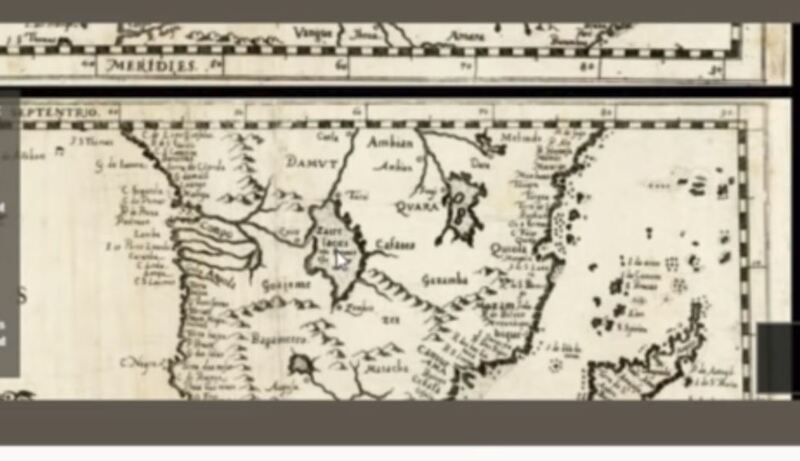 This old map from 1661 shows a lake in Africa. Nile runs north. New maps needed at the beginning of the 19th century. I think what he’s trying to say is the mountain range fell in? Fish River in Nambia looks like the Grand Canyon. He’s trying to say that the water drained out.. up north to the nile. Grand Canyon used to be filled with water. Was there an earthquake in an area that created a dam, restricting water flowing from the south? 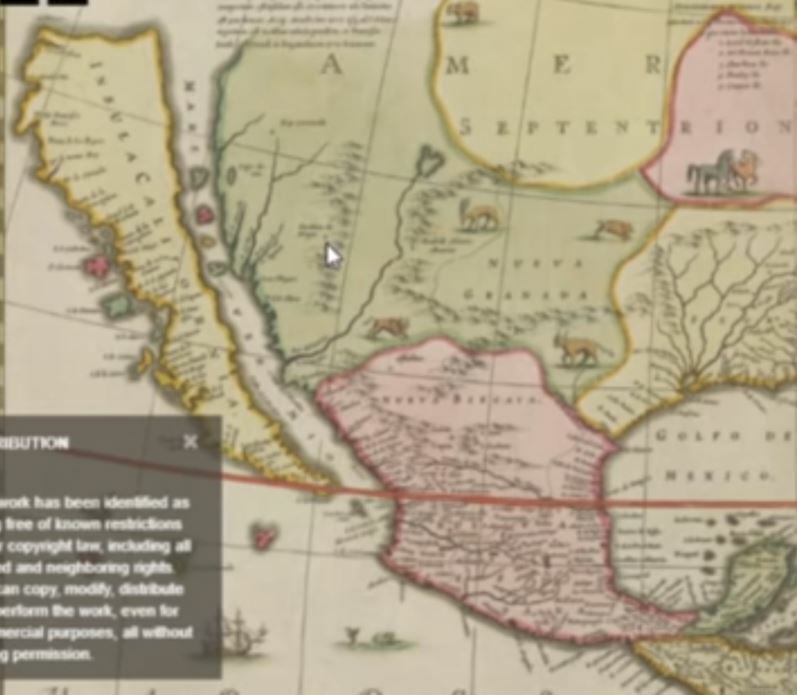 So… on maps in the 19th century, the lake in Africa disappeared and California is no longer an island. Scientist say that this formation is billions and billions old, when in actuality it only happened around 200 years ago and with all the major earthquakes happening… around the 19th century, new maps had to be drawn up. Did the parasites create these earthquakes. Did they have technology to create earthquakes back then? and why? Under the Nile, Library of Alexandria. In the Grand Canyon, Egyptian temples. Destroy the knowledge. 1747: King Ferdinand VI of Spain had to declare that California was not an island because all of a sudden it was no longer an island. He goes on to bring up the cost of wine. I think it has something to do with wars and confiscating the other country’s wine, thus bringing up the cost of wine ??? Anyway, I think the point is, wine was found in Napa Valley circa 1787. Chateau Lafite. 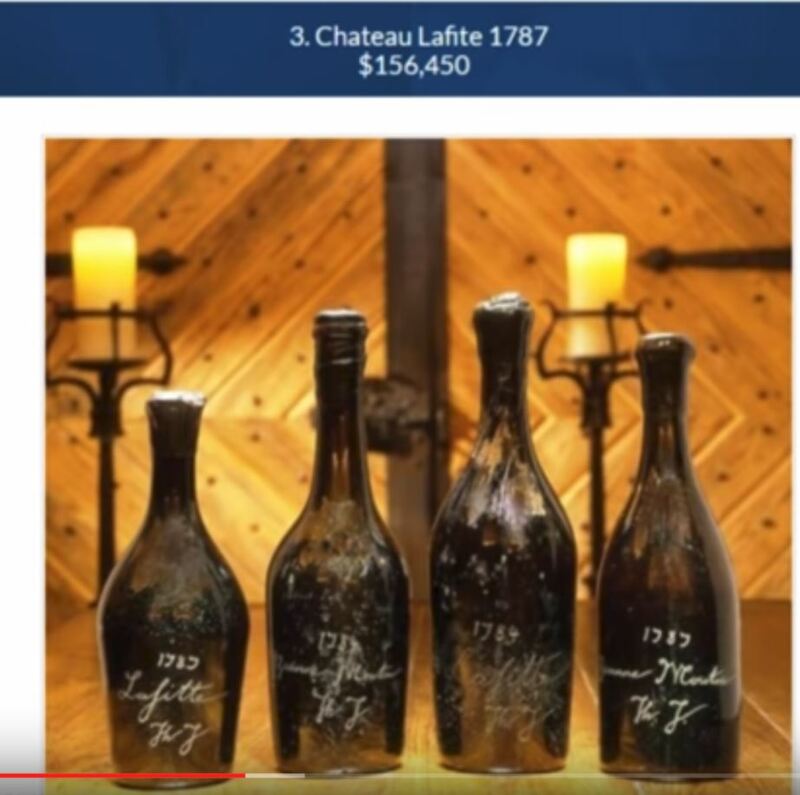 Thomas Jefferson’s (1743 – 1826) favorite wine from Napa. Wait… what? I was taught that California was barren land and started from scratch in 1850 and the only ones here were native americans. 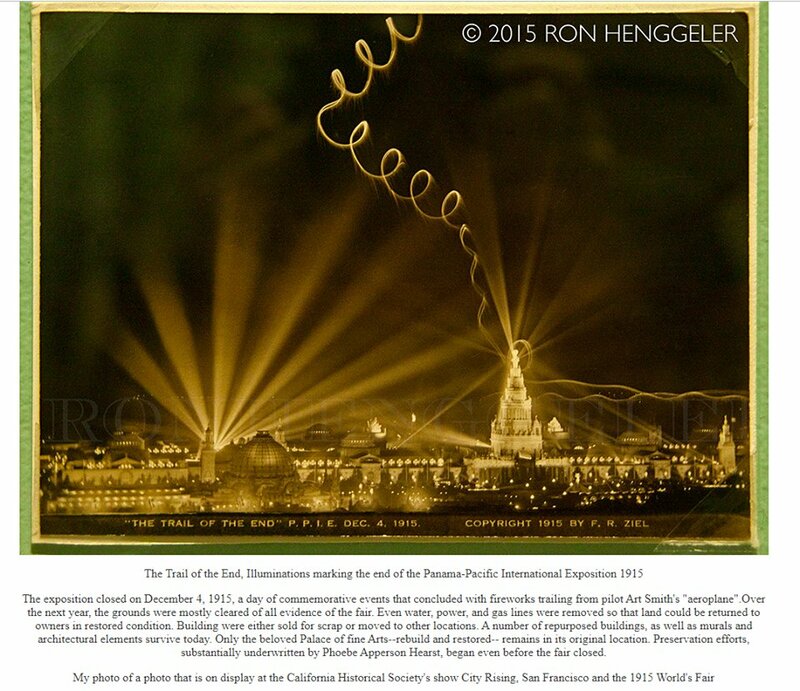 What is a thriving vineyard doing in Napa in 1787? 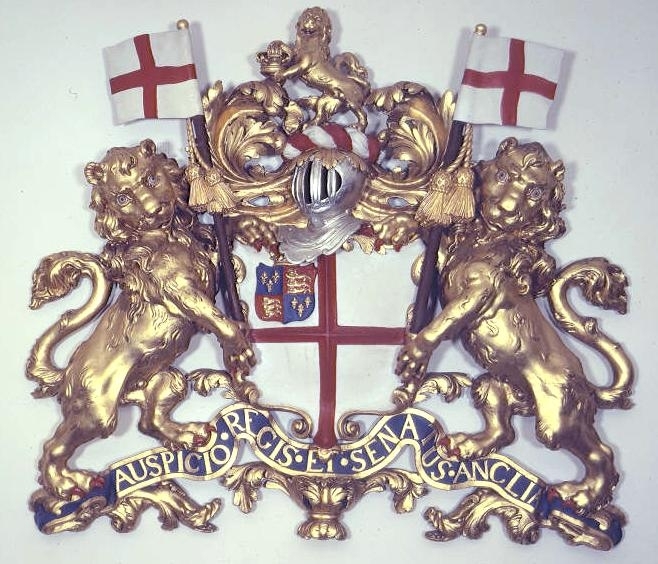 The years 1789 to 1799 marked a turning point in European history. In France, calls for political reform were overtaken by a revolution that swept away the monarchy, the aristocracy, and the power of the Church. The revolution was followed by a REIGN OF TERROR. Around the 16th and 17th century, the plague hit Paris one out of every 3 years. So everyone either dies of the plague or gets executed or murdered, which is a perfect time for someone like Napoleon to take over while the numbers are down. 1792 – 1814. Sold holding in America to the US. Lousiana purchase of 1804. Was this an elaborate plan between France and America? In the meantime, the male line of the Habsburg became extinct. Good time for Napoleon to take over land holdings. He claims the jeruselem flag looks like the knight’s templar flag. OK… That’s a possibility. Now we move to Morocco. ughhh… they were established in 1956. In Marrakech, the renovation of the palace Levada went from a ruin to a grand palace in 18 months. Meaning they had to dig it out. Mud flood? Digging out the cities in Egypt. Might want to take a photo of it. 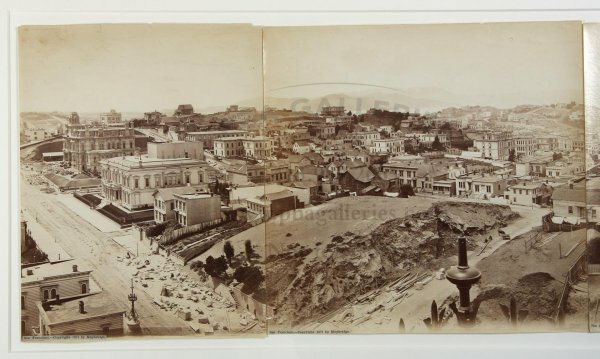 Egyptian Obelisks all over the city… with hirogliphics… in rome… 19th century. 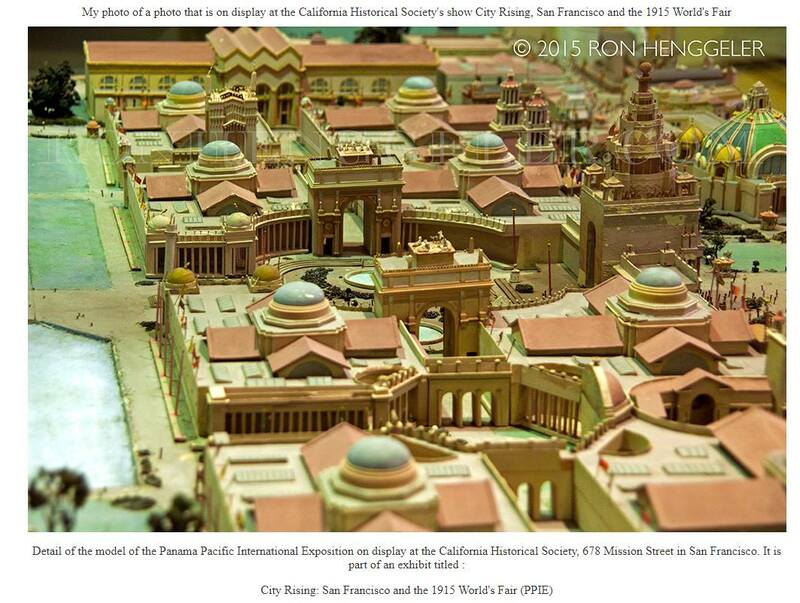 True Earth, Rome, was the Mud removed under Martial Law ? Dutch East India logbook https://archive.org/details/in.ernet…. The trees now block the view from this exact angle, but here is a photo dated June 30, 1942 taken during the inauguration of Army Week. 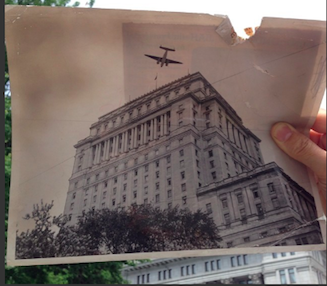 The caption on the photo reads “The above pictures shows a dramatic moment in the great display, with dive bombers immediately over the Sun Life Building on Dominion square, one of the finest and largest structures of its kind in the British Empire. Canada’s dare-devil airmen soared above and around some of the city’s skyscrapers with a precision born of perfect training but which at times took spectators’ breath away.” The photo was taken by an unknown photographer and found in the @mtlgazette archive library. 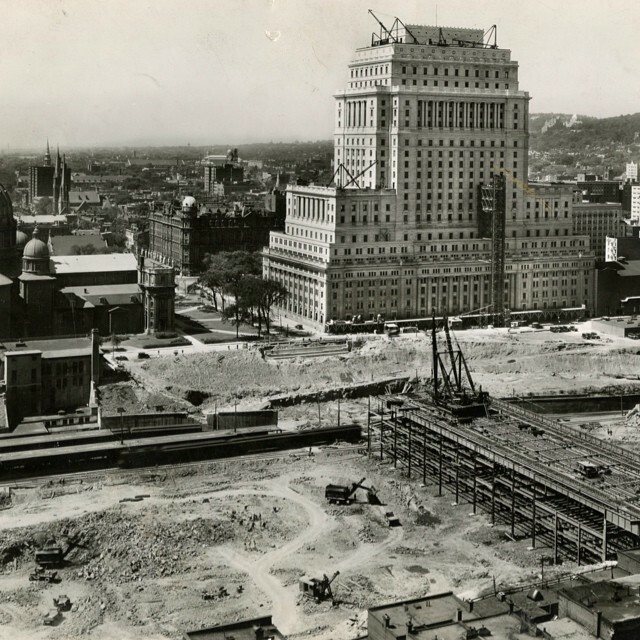 This photo, dated Aug. 9, 1931, depicts the progress being made on Montreal’s Central Station. 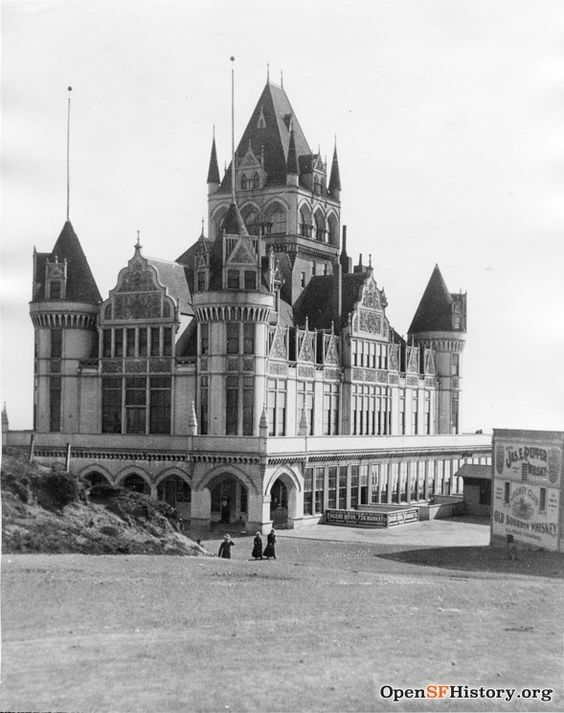 Construction in the area began in the mid-1920s and continued until the train station’s opening in 1943 when it was owned by Canadian National Railway. 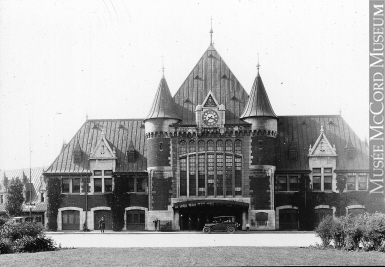 The Queen Elizabeth Hotel was built around the station by CN and officially opened in 1958. 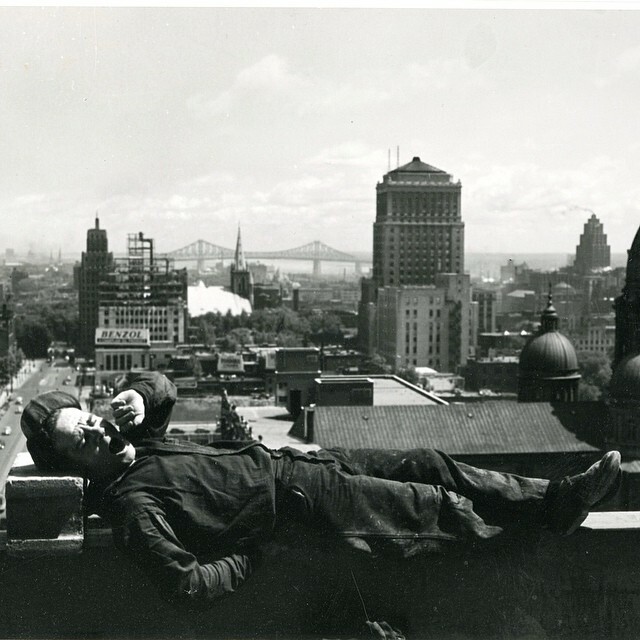 A construction worker takes a break on June 18, 1947. 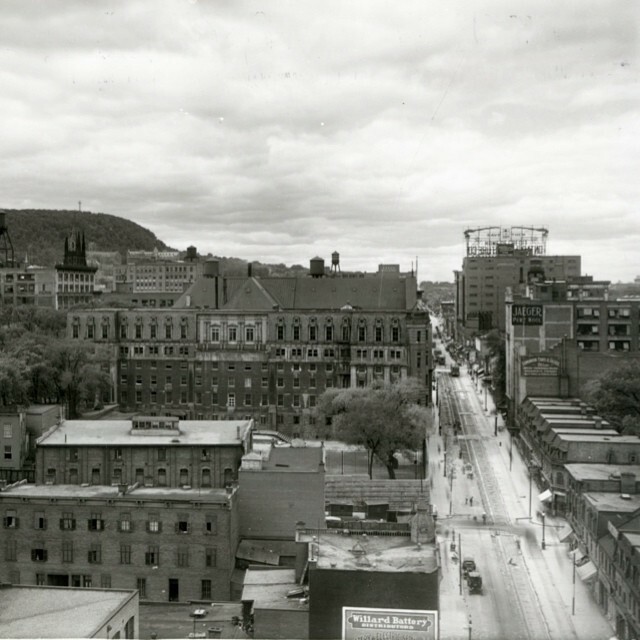 Based on the background, showing Mary Queen of the World Cathedral and the 22-storey Bell Telephone building, built between 1927 and 1929, it’s safe to assume the man was working on a building near the current location of the TC Transcontinental building at 1100 René Levesque Blvd. The TC building was built in 1986. 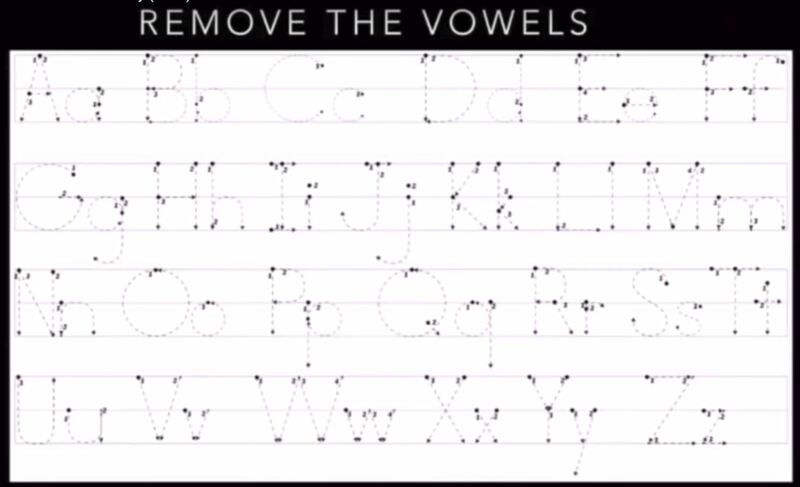 The photo is credited to Jack Markow & Company Limited. 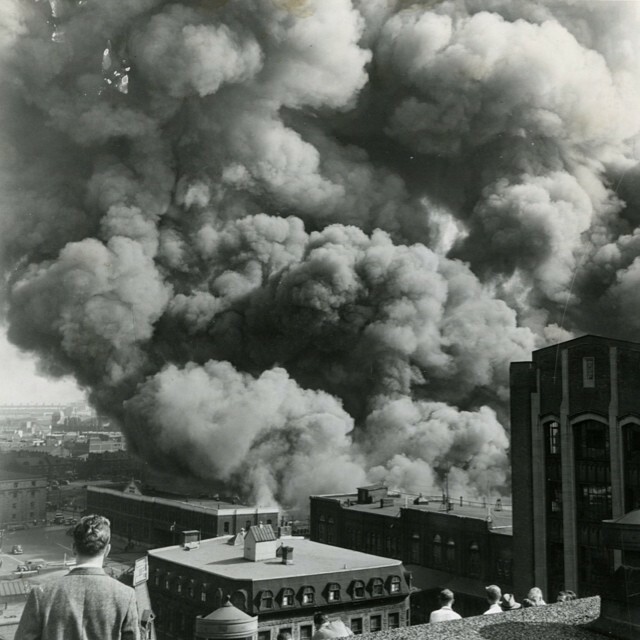 Aug. 23, 1948: A large explosion and a fire burned down most of the Bonaventure freight yard in downtown Montreal. 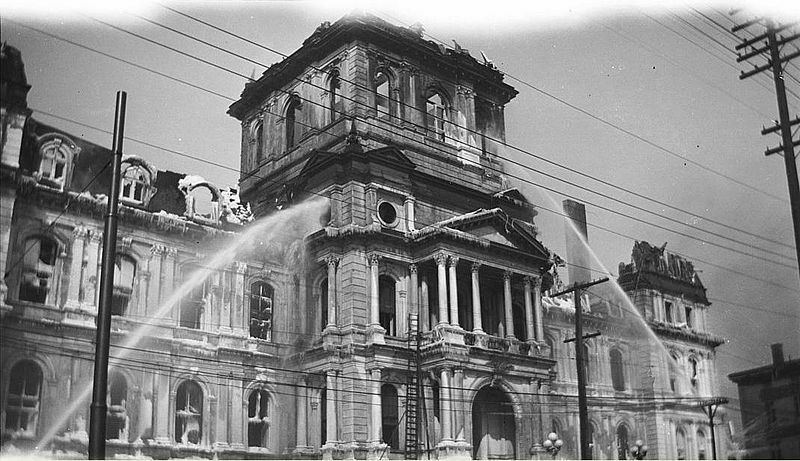 According to a story published in The Gazette the next day, the Bonaventure Station itself was left untouched and no one was killed in the blaze. The initial blast was reportedly caused by the explosion of an oxygen tank in one of the yard’s sheds. 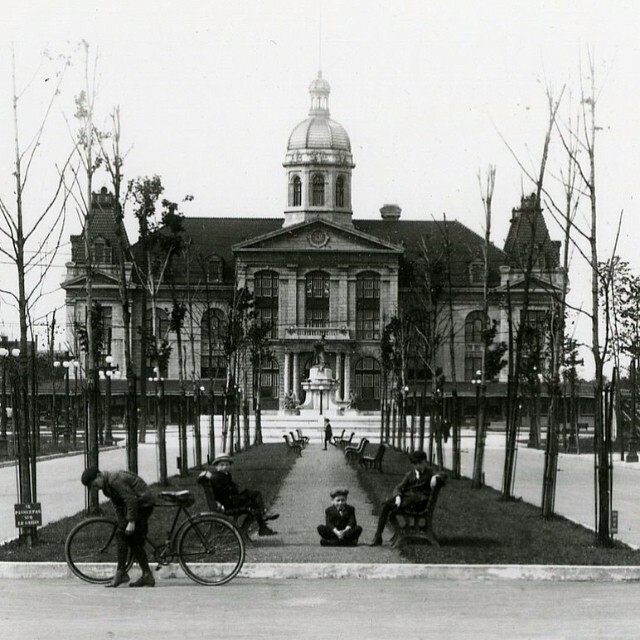 Maisonneuve Market on Ontario St in 1916. The market opened in 1914 and also served as a place for public meetings in Montreal’s east end. According to Heritage Canada, the market closed in 1962 due to competition from supermarkets and reopened temporarily in 1980 before coming back permanently in 1995.